As the spring is bringing forth buds, blossoms, and new growth, the days are following suit with longer daylight and warm temperatures, which means summer is upon us! Once May hits, you’ll likely be preparing for your kids’ summer vacation. Summer vacation is paradise for kids, but can carry stressful times for parents when they have to find things for their kids to do for three months of the year. If your kid is just about ready for their summer freedom to hit and you’re not, seek refuge in Liberty Firearms Institute. At our facility, we offer gun safety courses and shooting classes for youth to help keep them engaged and active in the summer. Follow along and find out in today’s post why Liberty Firearms Institute is the place for summer fun for kids! While Liberty Firearms Institute offers a wide array of concealed carry classes and hunter safety courses for adults, we also get the kids involved! Better yet, we have a family membership so you can learn and grow your tactical skills together! 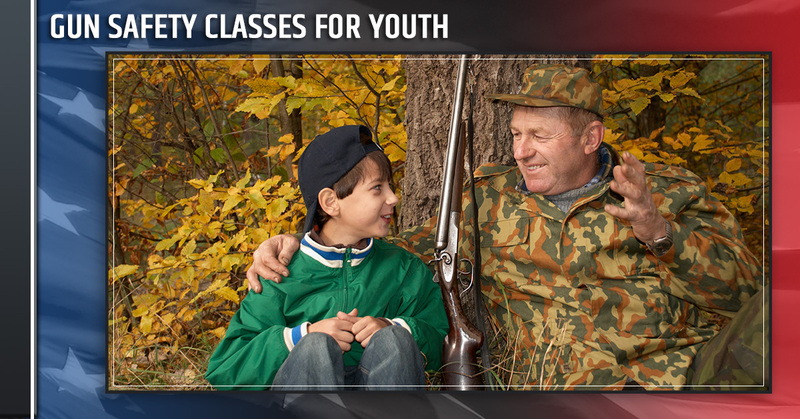 Our classes for youth include Kids Intro to Firearms 101, Youth Intro to Firearms 102, and Keeping Kids Safe, so you’ll always find a class appropriate for your child. 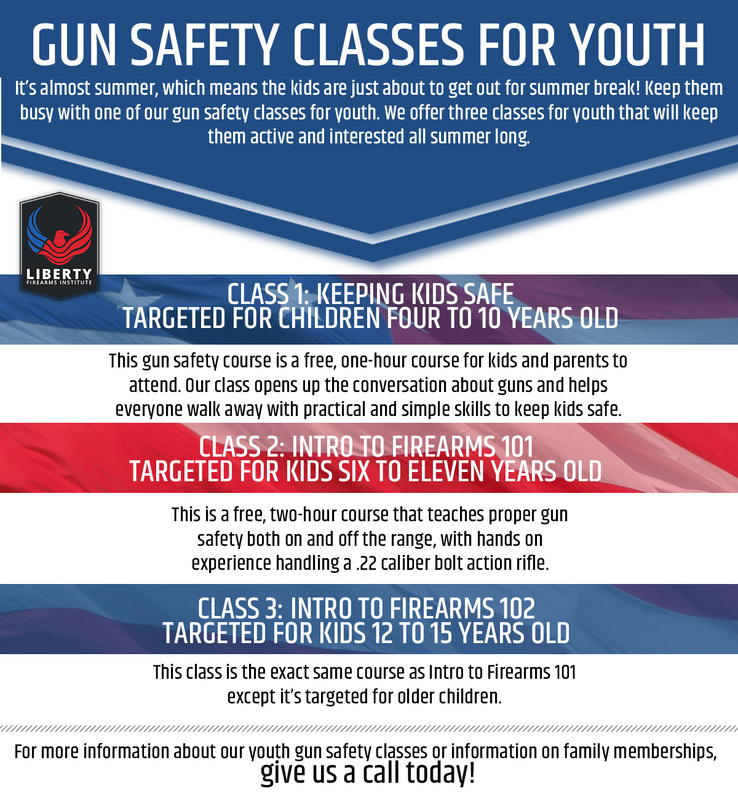 Why is Liberty Firearms Institute a Great Place for Summer Enjoyment for Kids? If you’ve ever been to Liberty Firearms Institute you know that our state-of-the-art 100,000 square foot gun range in Northern Colorado is the premier shooting range around. It not only provides a safe environment for adults but for kids as well. In our classroom, your kid will learn the basics of gun safety as well as hands-on instruction from some of the most experienced and skilled instructors. Not only is our facility and our instructors a big reason why Liberty Firearms Institute is successful, but it provides many learning opportunities for your child. LFI provides your child with a fun activity – It’s easy for your child’s brain during the summer, with copious amounts of different electronics and TV saturation, to turn to mush and for your child to complain of boredom. With one of our classes, your child is actively engaged and learning a new skill that both addresses dexterity and problem-solving skills. LFI gets your child out of the house – Even though the summer weather is beautiful and your child has ample time to play outside, they often opt for sleeping in until 11:00 am and eating a giant bowl of cereal while playing hours of video games, and then the day is over! Help get your child up and out of the house to face the world and keep them from wasting their whole summer. 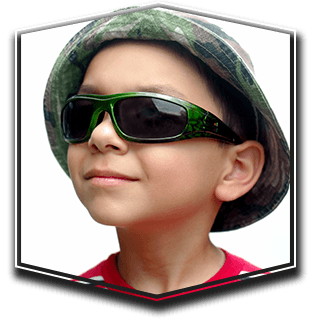 LFI fosters family time – Depending on the age of your child, most don’t want to spend their summer vacations without their parents, but after taking a gun safety course at LFI, they will be begging you to take them to the shooting range. Having family time at the shooting range helps you build a relationship with your child and gives you all something you can do together — which is hard! The next time you drive by our Northern Colorado shooting range, remember — LFI isn’t just for adults and it can be a great place for your child to spend some of their summer being active, out of the house, and creating family time. For more information about our gun safety classes for kids, give us a call today!